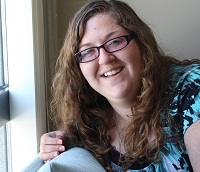 Brittney is a recent graduate with a Bachelor's degree in social work from the University of Nebraska at Omaha. She has been working with youth as a Camp Catch-Up staff member and assistant director, and as a volunteer for Family Works and "Let's Move" at Fontenelle Forest. in her role as a Youth Advisor for Project Everlast Omaha, Brittney helps young people find opportunities to advocate for system change and develop leadership skills. Learn more about Brittney now.